Introducing the revolution in wallpaper stripping! Is a house covered with stubborn, old wallpaper standing between you and your dream home? Wallwik SimpleStrip is here to help. Even on the toughest woodchip wallpaper! Wallwik Simple Strip is up to three times faster than steam. All our kits remove both wallpaper and paste residue. Customers looking to remove solely paste, glue and adhesives should visit our help removing paste and glue page. Click here to find out how Simple Strip works. 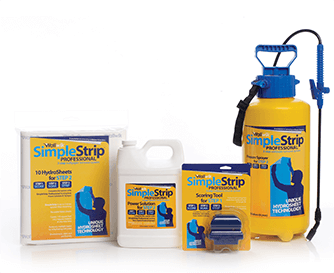 Learn how SimpleStrip makes wallpaper removal easy. Learn how SimpleStrip saves you time and money. 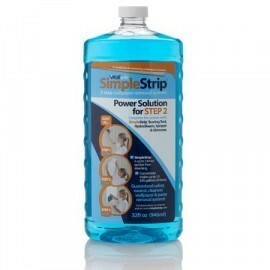 Buy SimpleStrip online with next day delivery.